My mom has been having these pains lately, and after having a nice picnic at Pops and GangGangs, people have been diagnosing her. They also suggested that I write her symptoms on my blog so everyone can join in the fun! Playing Uno on Facebook with Andelle made me realize how competitive it is. One time this guy made me draw two cards twice in a row, so I managed to reverse it and make him draw four. I find when playing with Andelle, we try and hit each other with the most skip or draw cards. But if someone has uno, we work together to make the person draw cards. One person kept on making me draw cards and skipping me, turn after turn, until I finally reversed it so I could pelt her with action cards. Its the first time I played Uno in a long time, and its really fun, even if you do fail miserably. Today me and Andelle were helping at Pops and GangGang's today, and I was sweeping around the pool, which gave me an idea of what I shall post about today. I shall now enlighten (or bore in some cases) with the one thing I learned about in GTT: Levers. Now if you already knew this stuff, I suggest leaving before I embarrass myself. There are three classes of levers. The way you tell the difference is by where the fulcrum, input, and output is. First class. The fulcrum is in between the input and output. Examples are seesaws, scissors, and crowbars. Second class. The output is in between the fulcrum and the input. Examples are a wheelbarrow, a nutcracker, and a wrench. Third class. The input is in between the fulcrum and the output. Examples are an arm lifting weights, a stapler, and (the thing that gave me this idea) a broom. I found when the input (my arm) was lower on the broom, there was more force sweeping the leaves. But when my hands were higher up on the broom, the more distance the broom moved. Now I know there's a whole thing on on resistance and effort, but I've quite forgotten it. It's best I just write all I know down so I won't forget it next year. I'm now in Montréal, Québec. It's actually surprising how much French there is everywhere. I thought there might be English labels below, but mostly everything is just French. So far we went to the science center and a museum about archeolgy and history. So far Andelle's been going on and off between annoying and pleasant. Like right now she's complaing a video she needs to see on youtube that just came out and complains that I've been on too long, even though she spent all day yesterday on. Right now I'm getting my fix of Donovan that I missed the week I was in New York. 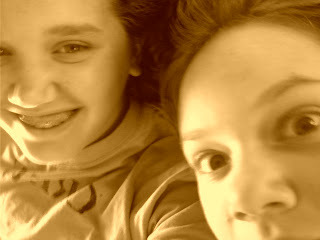 She's sitting right behind me now and it's really creepy why she can't just leave. It was fun at the museum of archeology and history, because of the tour guide. We called him the Tour Guide of Character. What's fun is that we're just winging it through Montréal. Tomorrow's my dad's birthday (and Ringo Starr's), and we've been trying to find a restaurant for him, but he's no help. It's been fun watching cartoons in French, and I wish Ysa could've come, but instead she decided to go to five-week-comic-book-camp. Its festival day in Waterford. There's vendors everywhere! 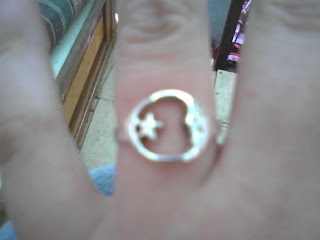 I got a new ring that reminds me of my old one that got squished in gym, but instead of a ying yang there's a star. There's also fireworks later. The visitor's center is awesome. There's internets, free books, a place to charge my phone, and an awesome guy named Jim. 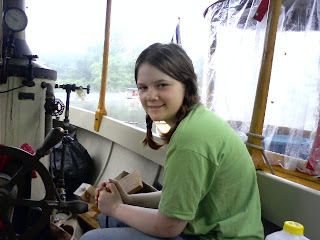 We put the curtains up in the boat, which is where I'm sitting now. This place is lovely besides the fact that they support the yankees. This is what we're doing on our mad adventure! Its been a few days since we have had eletricity, so I have been using my cell phone sparingly. Today we are in Schuylerville and are going to Waterford. A note for mom: bring the best detangler we have to Montreal.